He drove the man the twenty-five miles or so to his house, a little shotgun shack behind a trailer park. “Sloppiest-looking place you’d ever seen—looked like a flood had hit it. And we went into this shack,” he continued, “and he goes down a hall, turns left, pulls a box out from under the bed.” Bussard felt that familiar churn of anticipation in his gut, but he knew deals like this could curdle quickly. The records might be garbage, or the man might decide at the last minute—when confronted with a stranger’s barely contained eagerness—that he didn’t want to sell after all. “Wanna see something that’ll knock your eyes out?” Joe Bussard told me when I visited. He plucked a tobacco-colored sleeve from the wall and spindled its shiny shellac on the turntable. Bussard’s collection was unmarked and unalphabetized—the better to thwart potential thieves—but he knew the location and exact condition of every record. This one was a mint copy of “Revenue Man Blues,” by Charley Patton, one of perhaps three or four in the world. “Try and get that on eBay!” Bussard said. His gray eyes were bulging beneath bushy white brows, his gaunt features twisted into a happy leer. “Haw! Haw!” Then the music came on and he was quiet. Patton may be the greatest bluesman ever recorded and one of the hardest to listen to. The few records he made were pressed out of too soft shellac and worn down by constant playing. (Victrola needles were made of steel, easily dulled, and designed to be discarded after a single use, though they rarely were.) Not this one. When Bussard started collecting, such finds weren’t uncommon. The music he liked was out of fashion, its format obsolete. (“Do not throw away your old gramophone records,” one magazine article urged in the thirties. “Instead, turn them into decorative wall vases, bulb bowls or miniature garden containers.”) “I guarantee you, eighty per cent of these records would have been destroyed if I hadn’t got them,” he said. Joe Bussard lived in a plain brick ranch house on the outskirts of Frederick, Maryland. Its rooms were mostly shuttered and dusty with disuse, the yard overgrown. To find him, Ledbetter had to go underground, to a special listening room in the basement where Bussard spent most of his waking hours. It was a long, low-ceilinged space with pine panelling and bright banks of fluorescent lights—part bunker and part shrine. A mahogany Victrola stood on one side, an Edison cylinder player on another, a modern turntable across from it. The rest of the wall space was given over to records: some twenty-five thousand rare 78s and wax cylinders, stacked in wooden cases six rows high. 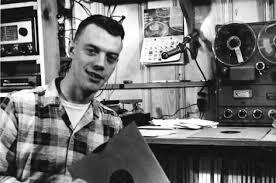 Thanks to http://www.dustandgrooves.com for this great interview with Joe Bussard. Q: What was your first album? How did you get it? At what age? Can you describe that feeling? Do you still have it? A: The first 78 that I went out and found was….God, you’re going back 50 years or so! That’s almost impossible to remember. I know that I found Gene Autrey records early on but it would probably be Jimmie Rodgers. When I heard him, that about did it. I was hooked. Q: What prompted you to start collecting? What age did you start? A: I had a phonograph at my house (still have it) and was playing records when I was six years old. Neighbors would bring records by the house that I grew up in, on Fairview Avenue in Frederick. Q: What was your Initial interest in music? Did you have any influence from your family? Or perhaps your best friend ? A: Not really. My family didn’t have much interest in it. I listened to the radio a lot and our local station, WFMD, used to have live stuff…mostly bluegrass. I got more deep into music when I got my driver’s license, hitting up houses, going door to door. In those days a lot of the roads around Frederick were still dirt, and I’d drive up and down every hollow, throughout the County. Learned everyday about some new musician. Q: are you following any specific genre in your collection? Or maybe pressing years? A: I got all types of music: everything from string bands and southern artists to Country blues and early jazz. Gospel and Bluegrass. In terms of pressing years, the best stuff is from 1929 to 1933, especially 1931, 1932, 1933. Nobody had any money, sales were low. So that what makes the records so scarce. And people didn’t take care of them with those old damn wind-ups. Those needles destroyed the grooves. 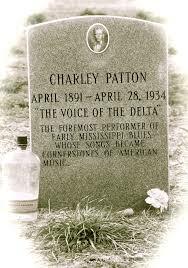 That’s what happened to all those Charlie Patton records. Jazz music ended in 1933, with the last recordings of worth being Clarence Williams in 1932. Also Benny Moten’s last recordings (he died in 1935). The problem was the sound changed in 1933; the tone was gone. When they came back with .25 cent records, the sound had changed for good. It wasn’t the same. Lost that beautiful tone. In 1955, country music had its last gasp. Jimmy Murphy’s records (six titles actually) that were recorded in Trashville, oops, I mean Nashville, were the last real recordings. Songs like “Here Kitty Kitt,” “Looking for a Mustard Patch,” and “Baboon Boogie.” It all changed after that. Q: Is there a music genre that you avoid? A: Rock-n- roll. Period. Any of it. Hate it. Worse thing that happened to music. Hurt all types of music. They took blues and ruined it. It’s the cancer of music….ate into everything. Killed Country music, that’s for sure. Q: A lot of people would claim the complete opposite. that Rock-n-Roll re invented and recharged music. What is it about rock-n-roll that annoys you so much? One time the guys from [60s blues/rock band] Canned Heat came up to the house. They came up in a Rolls Royce, with wads of money, boy! Wads of money, enough to choke an elephant! I think they had a hit record at the time. And they went down in the basement, and at that time I had thousands of duplicate records. You know, I used to have whole shelves of ’em, just dupes. And they started pulling out things they wanted to buy. The whole bunch, they all bought something, and it added up. And by the time they were done, they dropped $9,000. In cash! They had the money in their pockets! So I took the money, and I went out to Browning [the local pool company] and I said, “I want a pool.” And they come up and looked, you know, and said it would cost $9,000, right around that. So I have Canned Heat to thank for that swimming pool. They were the ones that paid for it! I couldn’t afford one!